For great results all season long, these are enriched with seaweed, potash magnesium and calcium. Essential nutrients direct to the roots. 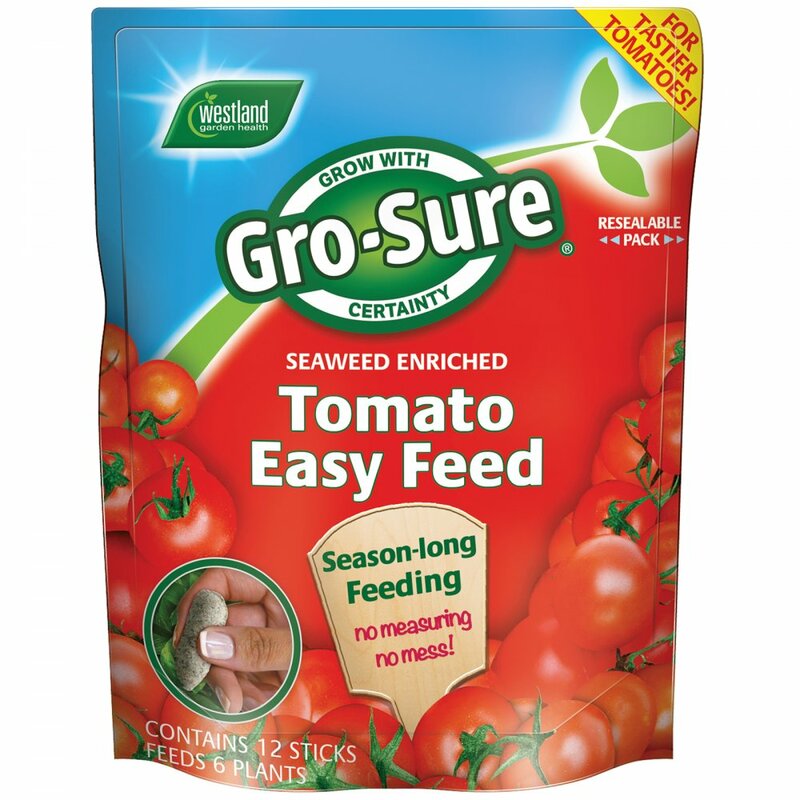 Hints and Tips: Gro Sure tomato easy feed is great for feeding a range of plants including other greenhouse crops, plants in containers and garden plants including roses and shrubs. 2 sticks per plant , just push on opposite sides of each tomato plant. Pack contains: 12 sticks to feed 6 plants.